Based in the Hudson Valley, NY and dedicated to premium quality cake, our cake-decorating programs are sure to enhance bakeries & excite customers – all while increasing profits and providing tremendous growth opportunities! Our selection of quality ‘blank’ cakes provide a canvas for bakeries to create cakes for any season or celebration. Simply use our easy-to-follow tutorials or bring creative ideas of your own! With a little fondant and some basic tools you can create magnificent results – and most importantly, a cake that will sell for a premium to maximize profits! 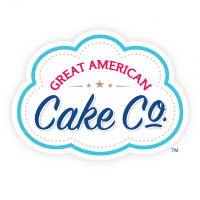 Visit http://greatamericancake.com to learn more.